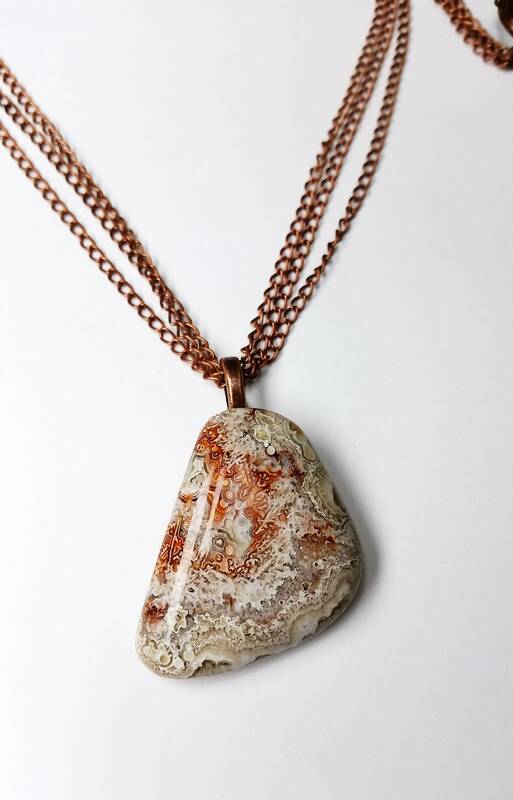 Fossilized coral is naturally full of intricate lacy, wavy lines. 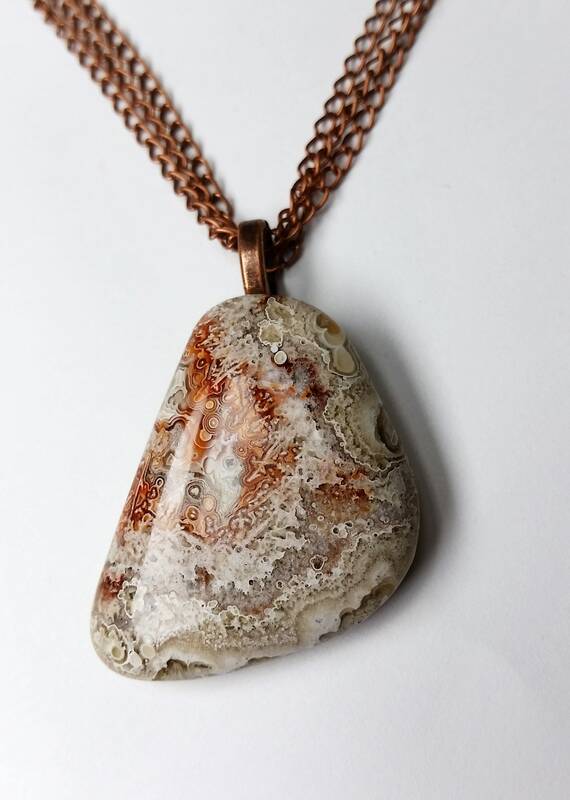 it forms from prehistoric coral where very gradually (over 20 million years) agate replaces the original living coral. Agate is a form of quartz. 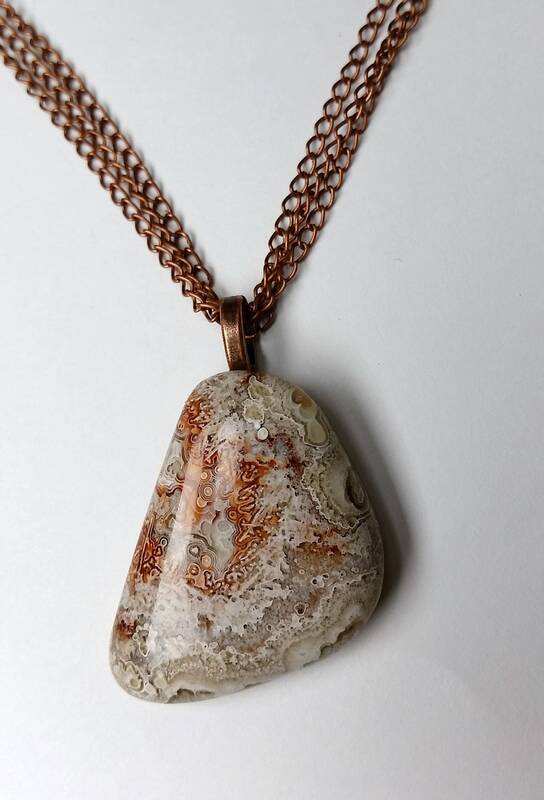 This particular stone has coppery iron among the various shades of bone, beige and off-white. It is roughly a scalene triangle, meaning that no 2 sides are equal in length. It happens to be a stone I cut and polished myself. 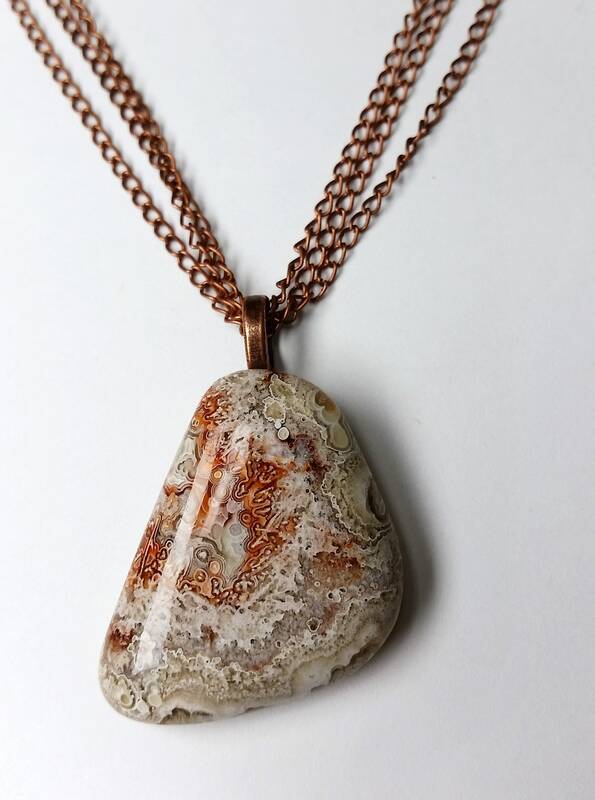 From the top of the bail to the bottom of the pendant it measures approx. 1.5 inches. It measures about 0.8 inches across. 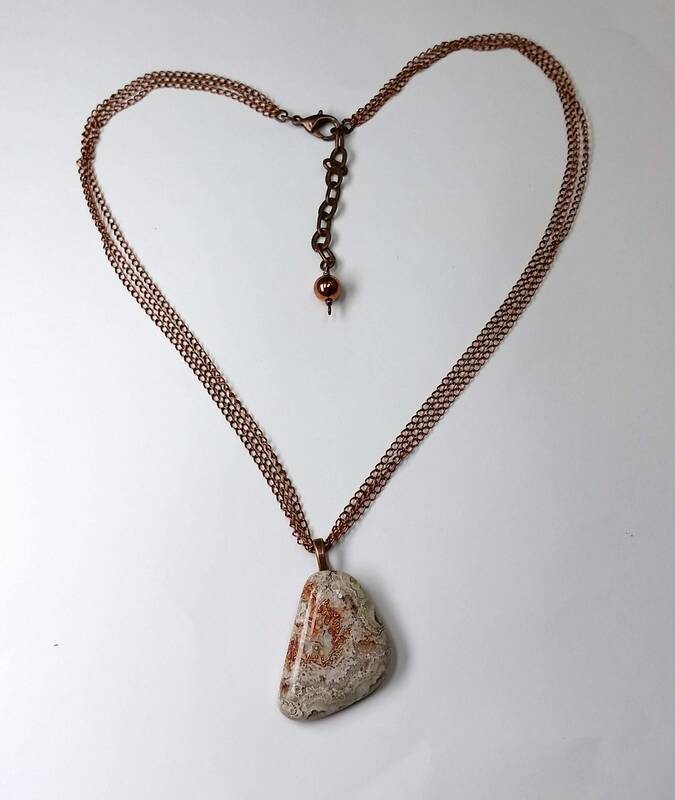 Three slender, small-linked copper chains go through the copper bail at the top of the pendant and they join just before the clasp on one side and extender chain on the other. 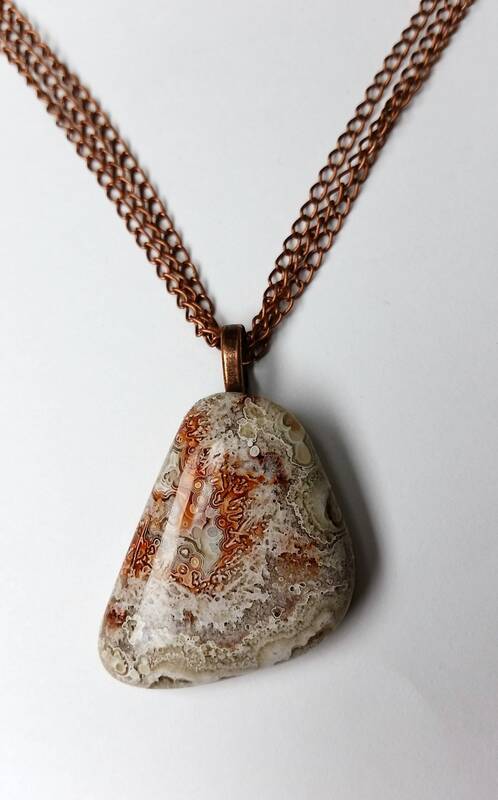 This adjustable length necklace measures from approx. 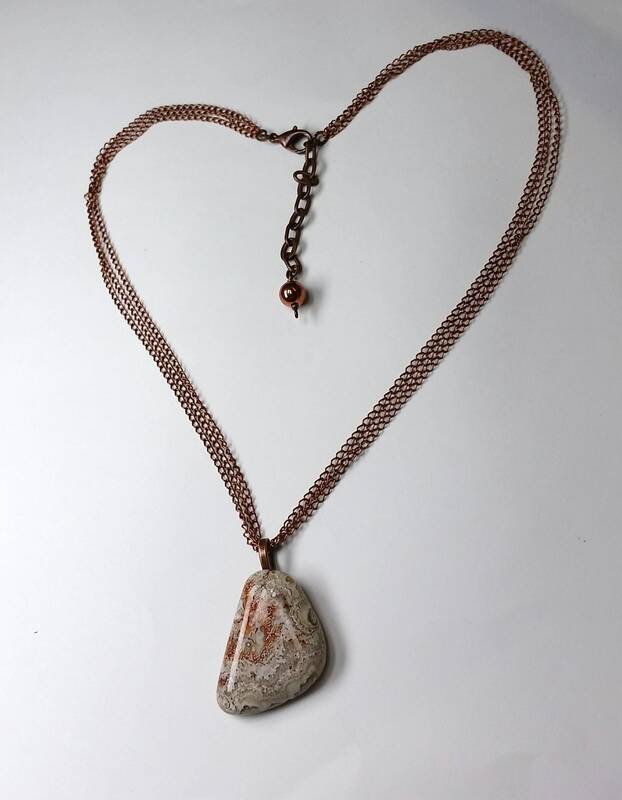 19.33 inches up to 21.33 inches and has an antique copper lobster style clasp and extender chain. At the end of the extender is a bright copper bead. 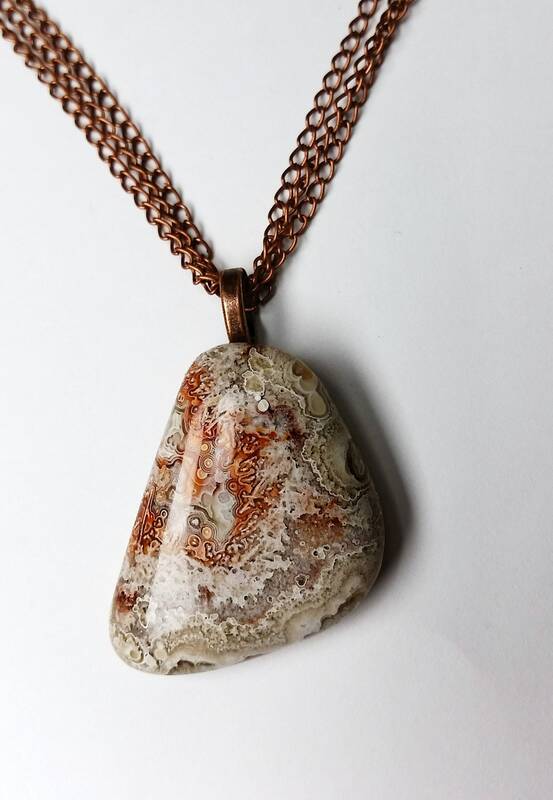 As far as metaphysical meaning, fossil coral is said to be a grounding stone good for bringing about change.